We enjoy an extended break at Carsington Water, with its amazing Kugel Stone. 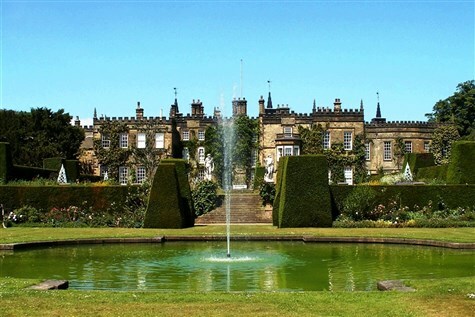 We continue to Renishaw Hall, for a one hour guided tour of the ground floor of the hall, visit the family museum and explore the stunning 4 acre Italianate gardens, complete with fountains and neo-classical statues, herbaceous borders and ornamental ponds. The vineyard is one of the most northerly in England. We include a delicious afternoon tea.